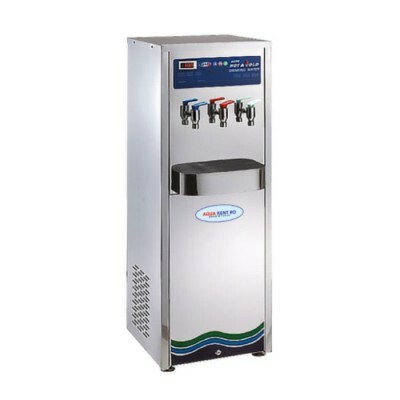 A high capacity with adjustable hot, cold and warm temperature controller, floor standing Water Cooler made of corrosion free stainless steel SUS304. It's high efficiency tank for fast heating enables you to make on-the-go meals and drinks. Undergoing a 3 stage filtration system, it is made safe to drink for public and commercial users.